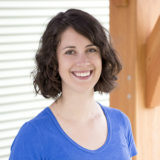 Meg grew up right here in Waterbury, Vermont, and completed a Bachelor of Science degree in Environmental Studies at the University of Vermont (UVM). During her time at UVM and while living in Burlington, Meg became inspired by people-powered transportation, environmental advocacy, and community involvement. As a culmination to her educational experience, she wrote an honors thesis on the female experience of bicycling in Burlington, a study of gender and the bicycle as an agent for mobility. Following graduation, she worked with a Burlington non-profit, Local Motion, to encourage healthy and sustainable forms of transportation for local communities. She then joined SunCommon, working on their Traffic and Inside Sales teams for two years. After taking a yearlong break to focus on family, Meg is delighted to be back at SunCommon and in a new role helping our customers navigate the CSA program.